Janet Evanovich is one of my favorite writers. When I first started reading her Stephanie Plum series a few years ago, I devoured them quickly and then waited anxiously for each new addition to the series. I've also read everything else Janet has written, including her newest release before this one, Wicked Appetite (read my review here). I loved Diesel from the Plum series and was happy to see him in his own series, but I think Evanovich should have stuck with the Between-the-Plums, because it was basically the same plot as the Stephanie books, she just changed the girl's name, location and occupation. Anyone who's familiar with the Plum series knows what to expect: explosions, crazy antics, lots of laughs, a bit of a mystery, a cast full of zany characters, a little romance and a lot of sexual tension. This latest installment of the Plum series didn't disappoint - in those ways, at least. As always, Stephanie's life is crazy, she's put in danger, Morelli and Ranger are still smoking hot and Stephanie still can't choose between them (although I have to say I did a lot of vicarious living in this book - moreso than the others), Lula and Grandma Mazur are still insane and hilarious, and there are plenty of crazies on the loose in Trenton, New Jersey for Stephanie to worry about. As much as I like things that I can rely on, there's a difference between that and predictability, and these books have been predictable for awhile now. 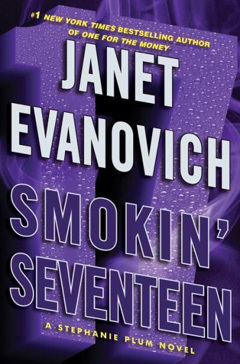 Evanovich has a strange writing style - a lot of short, choppy sentences and she tells more than she shows ('I did this, then I did this, then I did this') and that would usually annoy me (especially when I'm in editor mode, which is most of the time lately), but for some reason, it works for these books. To me, it's like Stephanie's a friend and she's telling me about her crazy escapades the way a friend would talk to a friend - informal and casual. As much as I love these books, and there's a part of me that never wants them to end, I think it's time. Past time, if I'm really honest, and I know a lot of other people feel the same way. I personally would like to see the next book be the last of the Plum series, with Stephanie finally choosing between Morelli and Ranger, settling down, and maybe even getting out of the bail bonds business. I know it would be a much less exciting life for her, but it would also be closer to real life - not that a lot of what happens in these books is close to real life! Either that, or go in a different direction - there's only so many times Lula can go on a diet, Grandma Mazur can embarrass Stephanie at the funeral home, and the Plums can set Stephanie up with a guy. The last few books have basically been the same story with a few twists and turns and a few new jokes. For the most part though, it's just the same ol' same ol'. 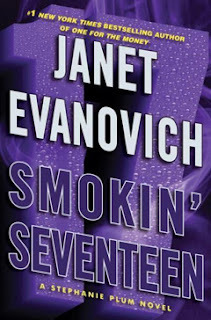 I highly recommend all of books in the Stephanie Plum series by Janet Evanovich. Stephanie Plum is a bounty hunter of sorts. She really tracks down those who skip out on their bail. All of the stories take place in and around Trenton, New Jersey. I live in New Jersey so I find it extra interesting. I laugh out loud whenever I read about Ms. Plum, Lula, Connie, Morelli and Ranger. I was on an airplane when I read the first Plum book, "One For The Money." I really had to swallow the laughter so other passengers wouldn't stare at me. I HIGHLY recommend this and all Stephanie Plum books to all. They are easily identifiable, because they all have numbers in the title. If you enjoy humor, you should read this book! You don't have to read them in order, either. The author gives you all pertinent information in each installment. It was really very interesting.